12.26 booth at the Dallas Art Fair. Image credit to the Gallery. 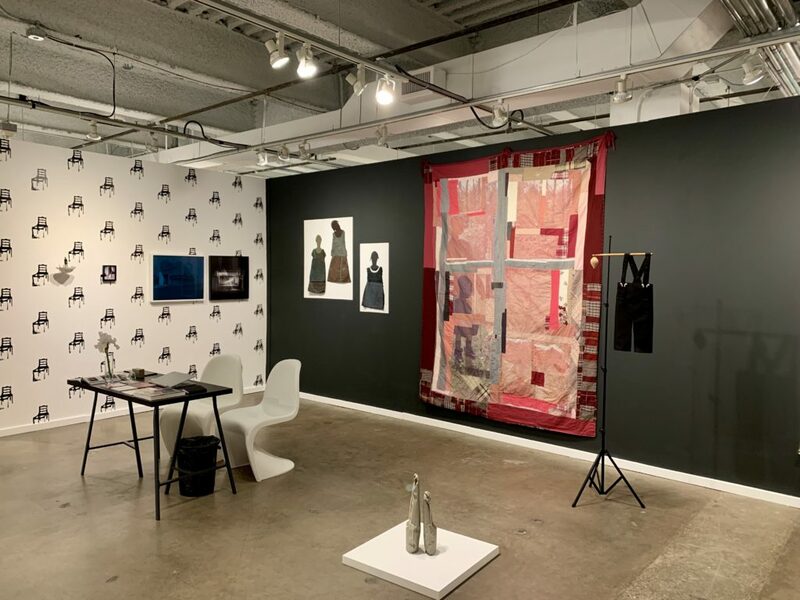 A first-timer at this year’s Dallas Art Fair is the hotly anticipated 12.26, a gallery opening fall 2019 in the Design District brought to Dallas by sisters Hannah and Hilary Fagadau, 12.26’s program is oriented to emerging and mid-career artists, and for its inaugural visit to the fair the gallery displays the work of three artists, Gracie DeVito, Ryan Nord Kitchen and Johanna Jackson, from the forthcoming artist roster. Maximilian Schubert. Image credit to AND NOW. For AND NOW’s fourth year at the fair the gallery is presenting work by Michelle Rawlings, David Flaugher, Isabel Legate, Maximilian Schubert, and Paul Winker. 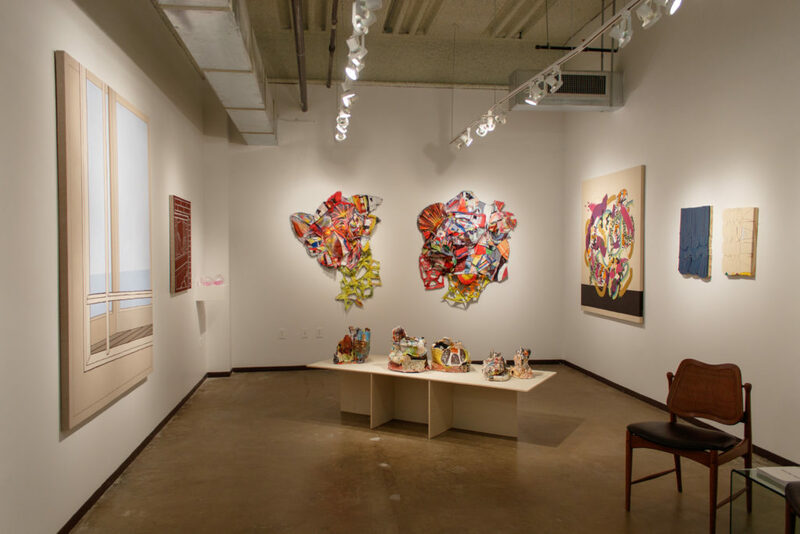 Take a look at Exploredinary’s preview of AND NOW’s the Dallas Art Fair here. 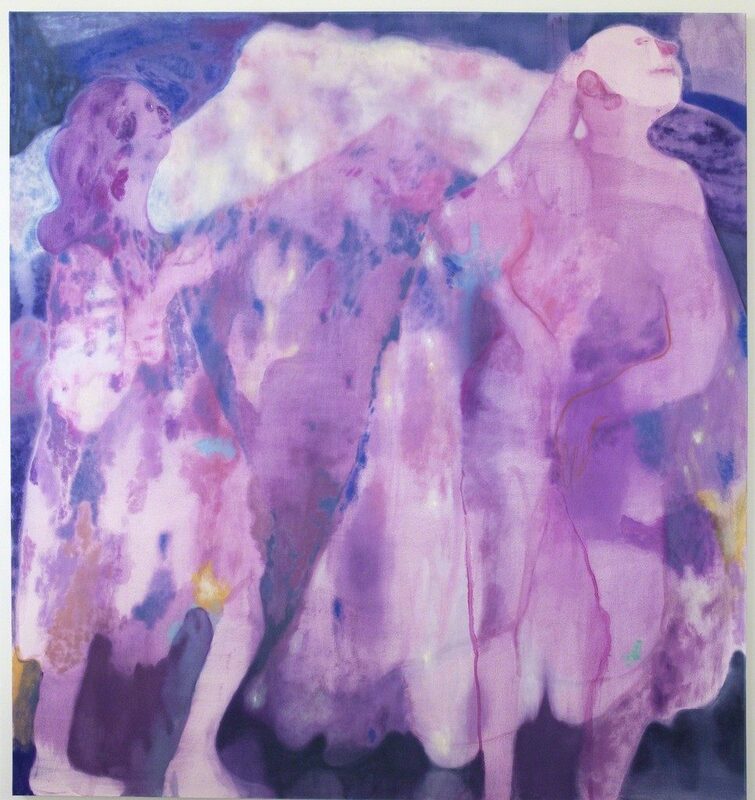 Maja Ruznic, Azmira’s Daughters, 2018. Courtesy the artist and Conduit Gallery. A stalwart fair exhibitor since inception, Conduit Gallery will showcase Annabel Daou, Saraï Delfendahl, Kirk Hayes, Ted Larsen, Bovey Lee, and Marco Querin in this year’s Dallas Art Fair. It was announced today that Maja Ruznic’s Azmira’s Daughters will join the DMA’s permanent collection, read more about it here. Marc Dennis, A Great Piece of Turf, 2018 oil on linen, 40 x 40 in. 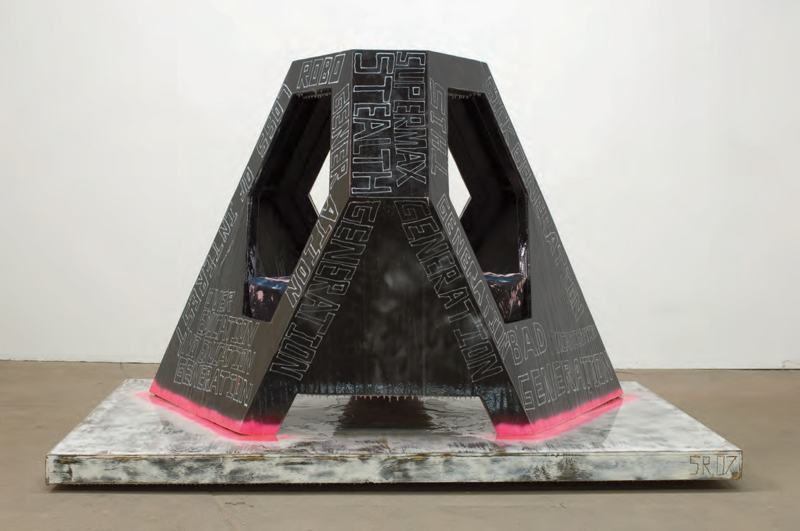 CWFA is exhibiting a selection of gallery artists, including sculpture and drawings by Adrian Esparza, who’s solo exhibition Dual, is currently on view at the gallery. Honoring Harry Geffert’s legacy, a wall sculpture of cast paper is mounted in the booth as a precursor of an all paper solo show they are planning for this fall season. Other artists of note are painters Marc Dennis, Robert Sagerman, and Steven Charles, and sculptors Celia Eberle, Sherry Owens and Simeen Farhat. 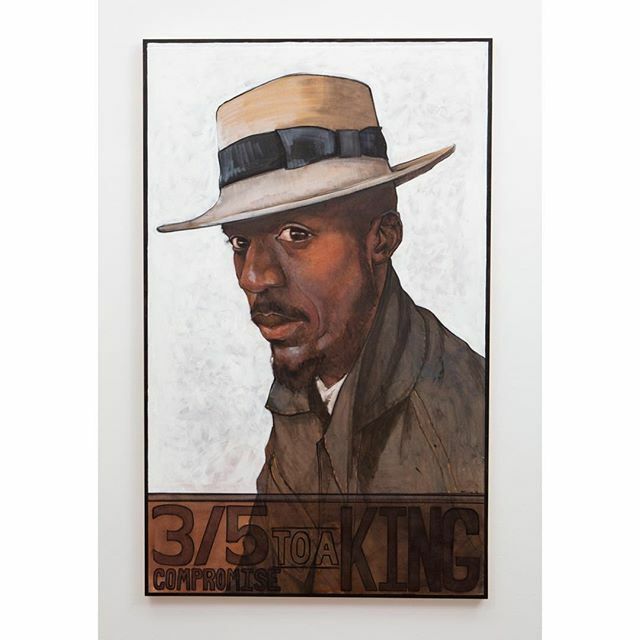 Riley Holloway, 3/5 compromise to a King, 2019, Oil on canvas, 74 x 47 in. Credit to Erin Cluley Gallery. The gallery presents a provocative program of artists working in both traditional and alternative forms including painting, sculpture, new media, photography, sculptural installation, and public intervention. This year Erin Cluley’s whose highlights include Kalee Appleton, Riley Holloway Mike Carney, Gary Goldberg, Anna Membrino, Francisco Moreno, Nic Nicosia, and Zeke Williams. 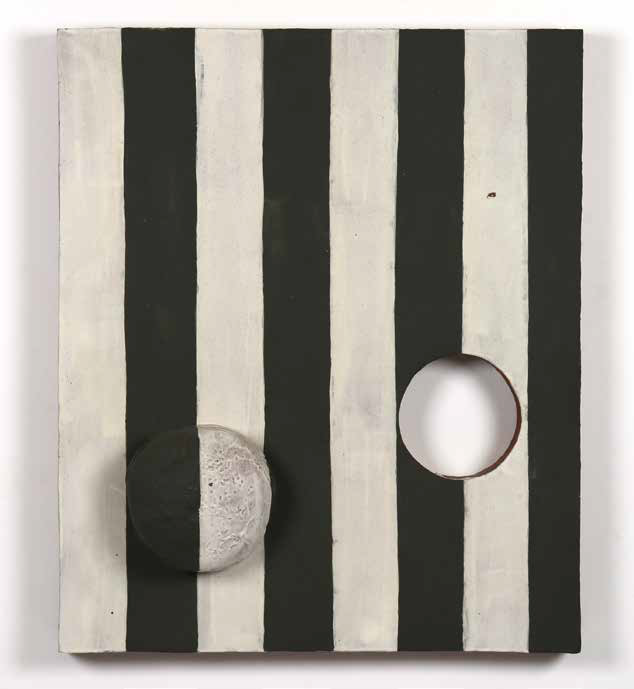 For this year’s fair, Galerie Frank Elbaz highlights gallery artists Jean-Michel Atlan, Davide Balula, Wallace Berman, Jay DeFeo, Tomislav Gotovac, Sheila Hicks, Julije Knifer, William Leavitt, Rainier Lericolais, Mangelos, Ari Marcopoulos, Kaz Oshiro, Bernard Piffaretti, Dmitri Prigov, Mladen Stilinovic, Mungo Thomson, Blair Thurman, and Matthew Wong. A work by Sheila Hicks was selected by the DMA Dallas Art Fair Acquisition Fund, read more about it here. 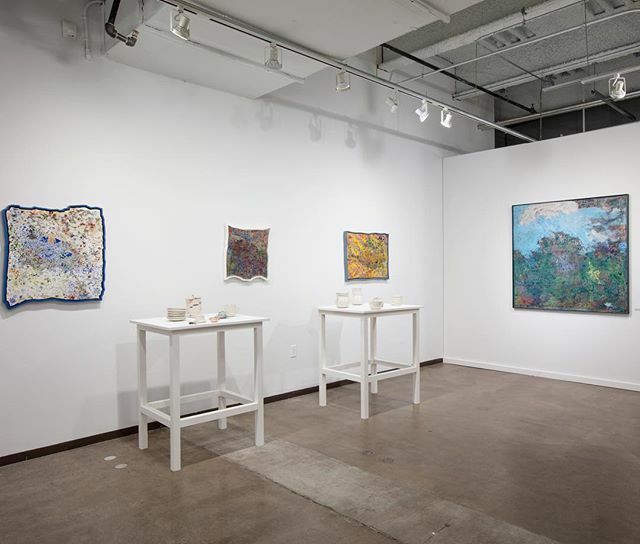 Galleri Urbane’s Booth in the 2019 Dallas Art Fair. Image credit to Galleri Urbane. Galleri Urbane is exhibiting all new work by their gallery artists. Paintings driven by highly formal concerns can be found in the work of Heath West, Stephen D’Onofrio, Gail Peter Borden, and Loring Taoka. 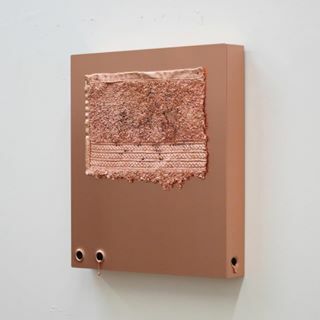 In contrast, playfully tactile art-as-object that blurs the line between sculpture and painting is represented in works by Jason Willaford, Rachel Hellmann, Samantha McCurdy, and Melinda Laszczynski, and Benjamin Terry. 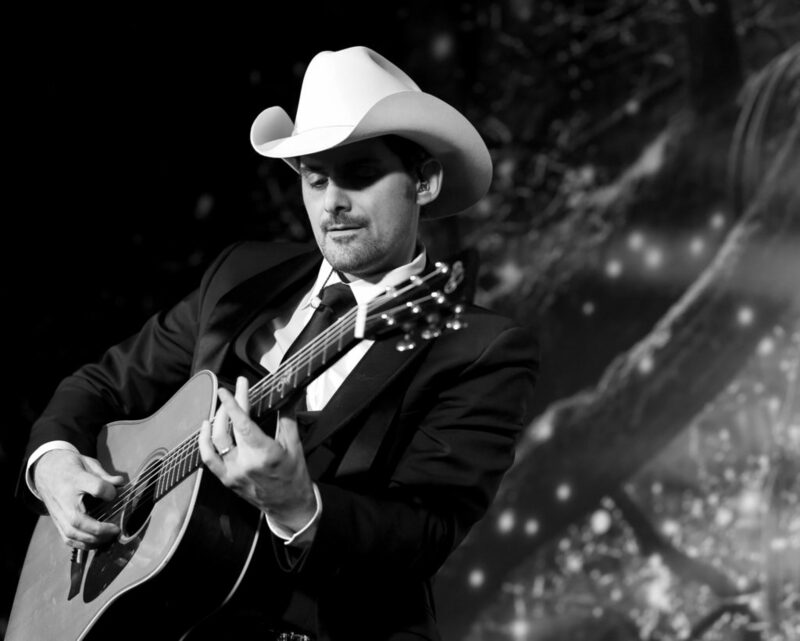 New photographs by Irby Pace are on display. In addition to these artists, a rotating selection of small works by other gallery artists are featured throughout the weekend. Through a tightly curated selection of work, the booth provides visitors with a concise depiction of the gallery’s overall artistic vision. 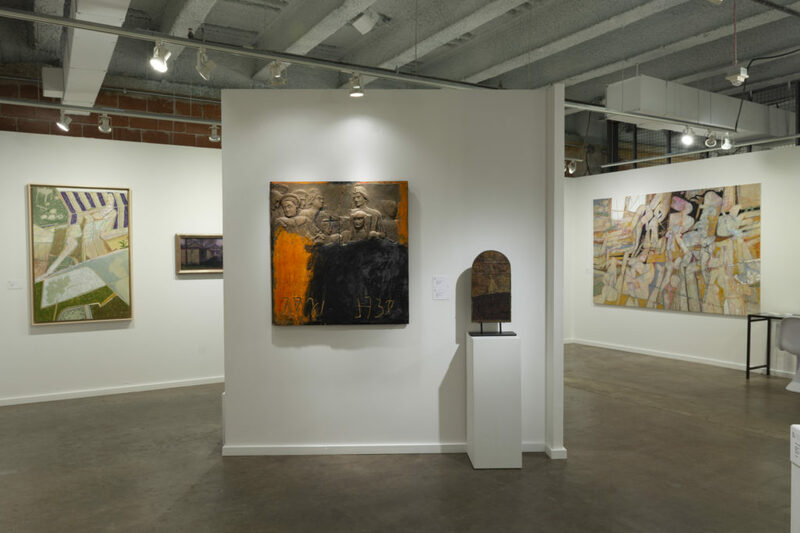 Liliana Bloch Gallery’s Booth in the 2019 Dallas Art Fair. 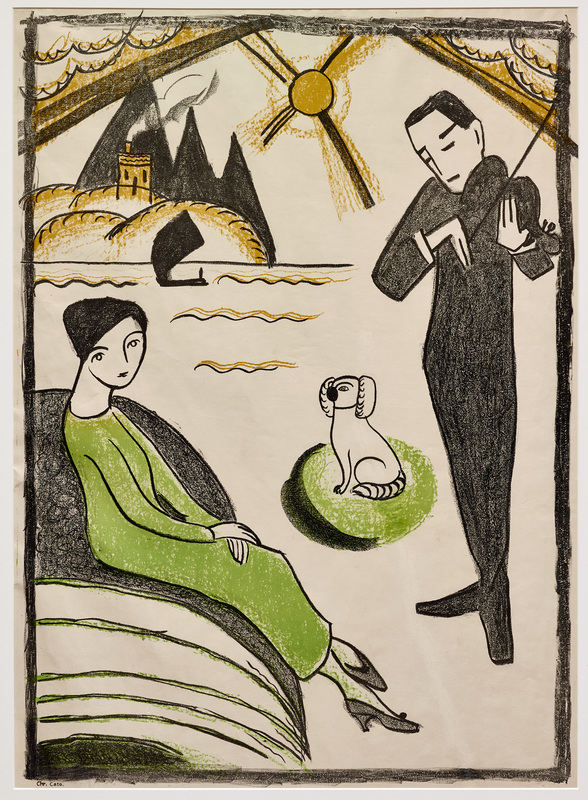 Image credit to Liliana Bloch Gallery. LBG provides a unique and personalized approach to building outstanding contemporary collections for both individuals and corporations emphasizing artwork that addresses contemporary issues with strong historical ties. This year Liliana Bloch is exhibiting Tim Best, Alicia Henry, Ann Glazer, Ryan Goolsby, Letitia Huckaby, Vince Jones, Kathy Lovas, Leigh Merrill, and Sally Warren. 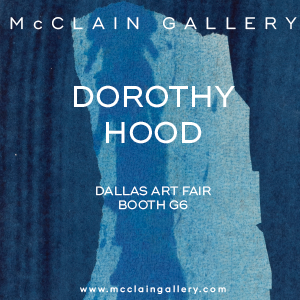 From Houston, McClain Gallery participates in the 2019 Dallas Art Fair with a curated selection of artists: Anne Deleporte, Dorothy Hood, Bo Joseph, Julia Kunin, and Luise Nevelson. 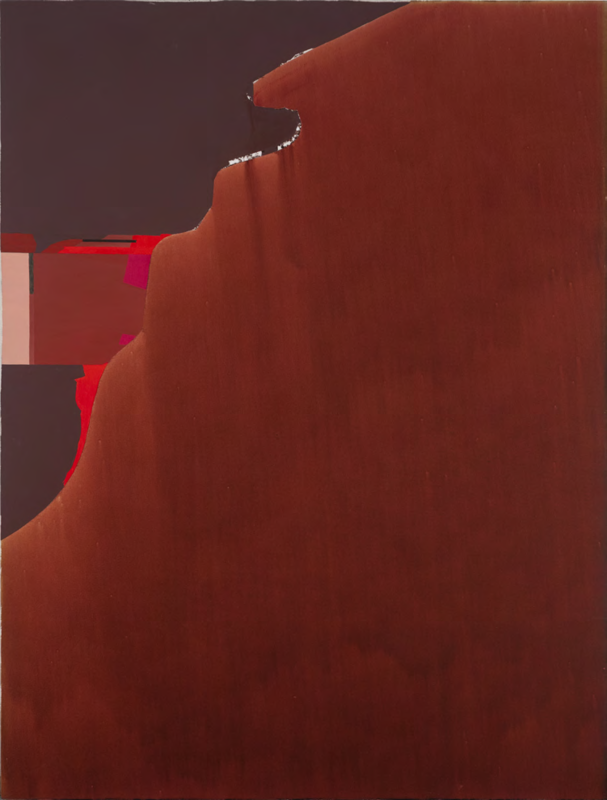 The centerpiece of McClain Gallery’s presentation is Dorothy Hood (1918-2000), whose work combines color-field techniques with painterly abstraction. The pictorial space and visual fissures of her large-scale paintings recall a profound mindscape that echoes her early Surrealist influences from her time spent in Mexico. A beautiful trove of Hood’s collage works on paper, rich in material experimentation, reveal a more intimate look at the artist’s process and inspirations. This presentation marks the gallery’s debut showing of Hood material in partnership with the Art Museum of South Texas and its holdings and archives of the artist. In this year’s show PDNB highlights work from Keith Carter who recently released the tome Keith Carter Fifty Years, Nickolas Muray, Ben Marcin, Vadim Gushchin, Jesse Alexander, Ida Lansky, Cheryl Medow, Barbara Maples among many others. Valley House Gallery Dallas Art Fair Booth. Image Credit to Valley House Gallery. Valley House Gallery returns to Booth A5, upstairs, with an exhibition of recent paintings by Vera Barnett, Lloyd Brown, Brian Cobble, David A. Dreyer, Henry Finkelstein, Barnaby Fitzgerald, Lilian Garcia-Roig, Miles Cleveland Goodwin, Cindi Holt, Otis Huband, Sedrick Huckaby, Mark Messersmith, Bob Stuth-Wade, Valton Tyler, Mary Vernon, and Jim Woodson. In addition, the gallery is presenting mixed media works by Gail Norfleet, Hadar Sobol, Chaco Terada, and Miguel Zapata; photography by David H. Gibson; and drawings by Berthe Morisot and Anne Weary. Installed amongst these two-dimensional works are sculptures by Deborah Ballard, Kathy Boortz, Carol A. Cook, Alex Corno, David Everett, Anita Huffington, Jason Mehl, Michael O’Keefe, and Luke Sides. 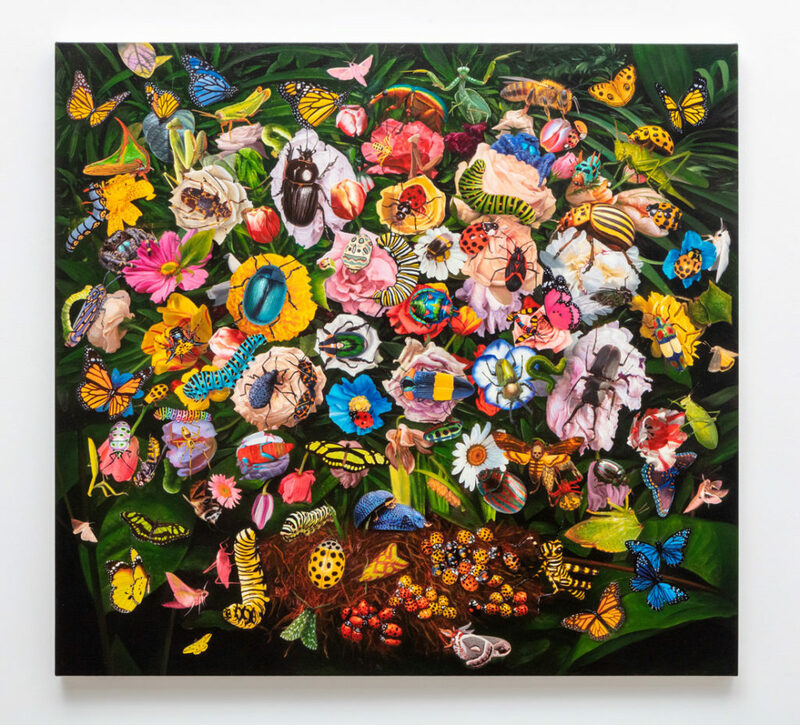 At this year’s Dallas Art Fair, William Campbell Contemporary Art presents a curated exhibition of work by Billy Hassell, Bernd Haussmann, Otis Jones, Lloyd Martin, Arno Kortschot, Beverly Penn, John Holt Smith, Alex Katz, Jeff Kellar, Donald Sultan & Michelle Benoit.